I am into the final stages of finishing this quilt. It is for a doll bed that I have had since I was about 10 years old. Lets just say I have had this quilt as a WIP for a while. 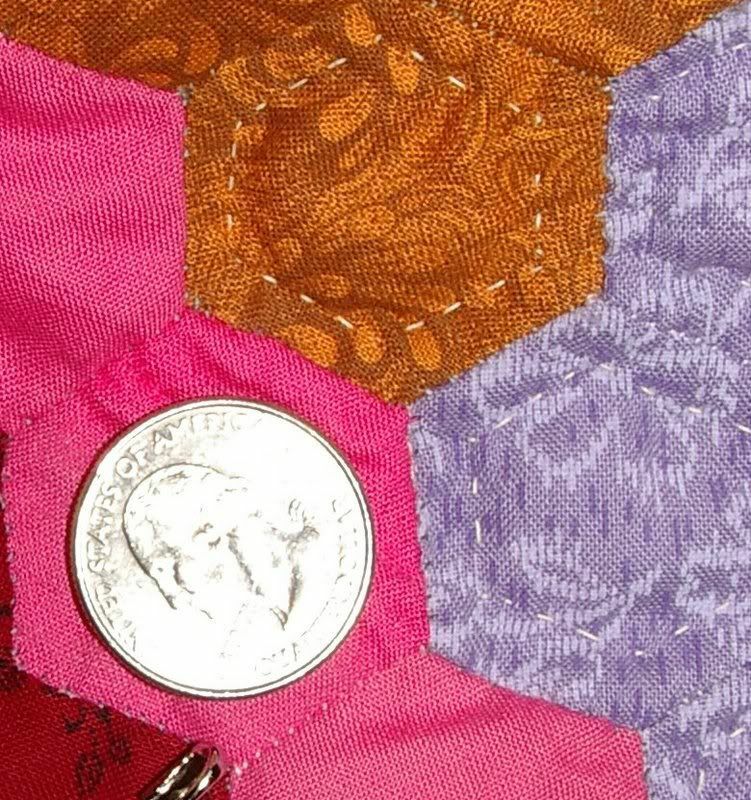 This little quilt is made out of hexagons that are 3/4 inch on a side, roughly 12 - 14 hand sewing stitches to a side and about 5 - 6 hand quilting stitches to a side (which is about 10 - 12 per inch). The finished size of this quilt is 21 1/2 inches by 30 inches. 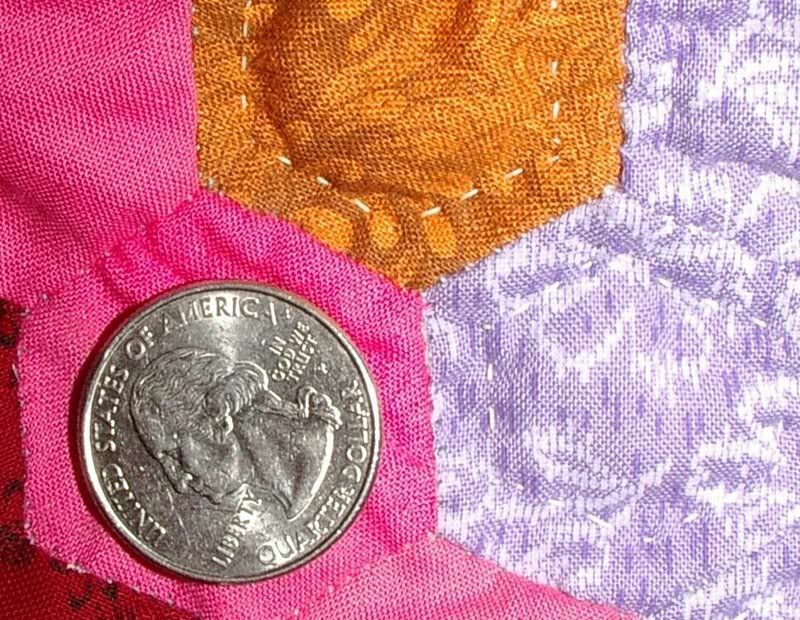 There are 409 pieces that make up this doll quilt. Inside, it has a cotton batting. 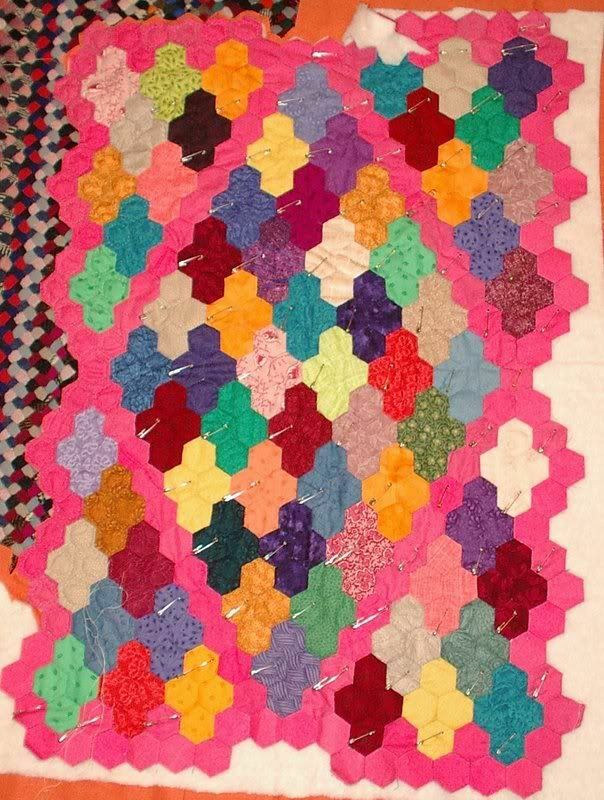 This quilt is made from scrapes left over from another quilt I made. I haven't finished that quilt yet, either; it is still in top stage, but I figured that since I had enough extra pieces cut to make a little quilt, I might as well use them. There is a quarter in two of the pictures for reference on size.